When I was about 3 years old, my father made a tape (I’m dating myself) of me learning memory verses for Sabbath School ( the Seventh-Day Adventist version of Sunday school) and the one verse that I still here my 3 year old self quoting is Mark 14:8–“She hath done what she could”. 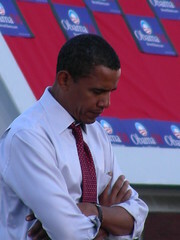 When I think about the 4 years that president Obama has had and the trials and tribulations he has had to endure, it is no wonder that he became emotional while speaking at his last stop in Iowa before returning to his home in Chicago to find out if Americans can move “Forward” and continue the work that was started November 4th, 2008. For the last 4 years, it has been well documented how the Republican Party has openly undermined Obama’s presidency regardless of how it affected our country and two days after Obama’s inauguration, Rush Limbaugh stated that he– “Wanted President Obama to fail”. That statement alone let all of America know that no matter how he and we may be able to help you, we are going to, as my momma used to say, “Cut off our nose to spite our face” and sit back and watch the show. Stopped defending DOMA in court. Passed the Hate Crimes bill. Appointed two pro-choice women to the Supreme Court. Expanded access to medical care and provided subsidies for people who can’t afford it. Fixed the preexisting conditions travesty [and rescissions] in health insurance. Overhauled the credit card industry, making it much more consumer-friendly. While Dodd-Frank bill was weak in many respects, it was still an extremely worthwhile start at re-regulating the financial sector. He created a Elizabeth Warren’s dream agency: The Consumer Financial Protection Bureau. He got help for people whose health was injured during the clean-up after the 9/11 attacks. End-run Republican obstructionism by recess-appointing Richard Cordray to run the Consumer Financial Protection Board. If there is anyone out there who has ever been undermined at work when all you tried to do was show up and do your job, go back and read this list of accomplishments as a reminder of what a thankless job looks like. This list is the result of hard work and the kind of work expected of an american president so as we wake up today ready to cast our vote, let’s all remember what President Obama has accomplished in the face of adversity and if anyone asks what he’s done…just tell him–“He hath done what he could” and now it’s our turn.